This powerful, all-natural solution will delight the senses and put a stop to what ails you. Inhale deeply and let the scent carry your mind away while the oils work their magic. This product should be the foundation to any good medicine cabinet. Let nature, at its finest, heal you while you shower. Exhilarating and stimulating. 100% Pure Eucalyptus Oil. GMO-free, Halal and Kosher certified. 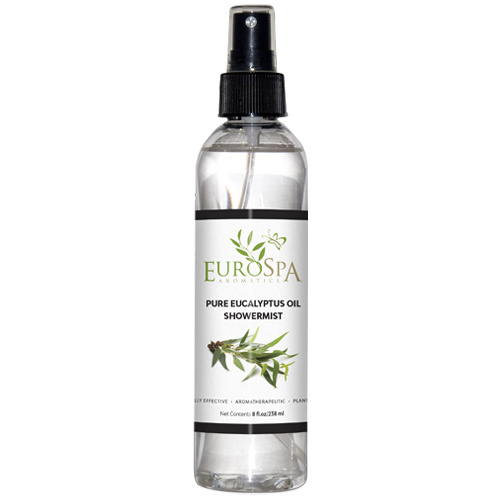 Available in 8oz and 2oz spray bottles. 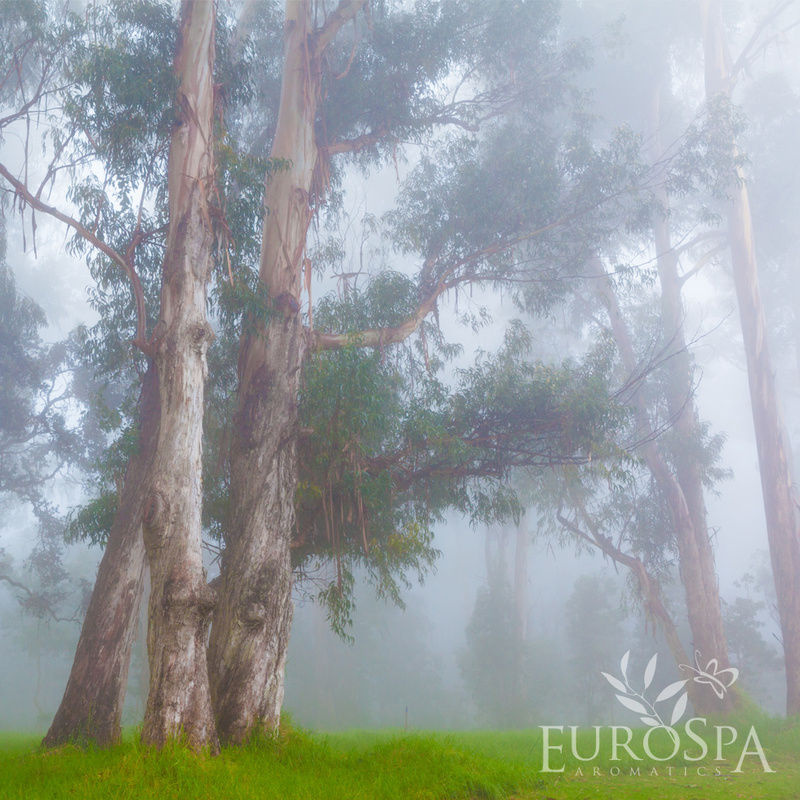 The benefits of Eucalyptus Oil have been known for centuries. From the times of the Ancient Egyptians throughout the Middle Ages and into the Modern Era, inhalation therapy using Eucalyptus Oil has been used to benefit respiration, skin vitality and general energy level. 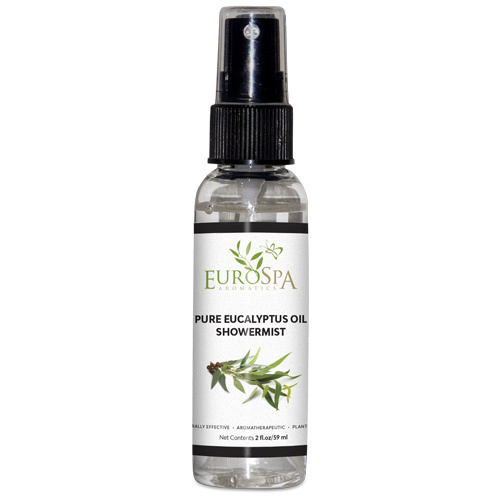 Eucalyptus essential oil is effective for treating a number of respiratory problems including cold, cough, runny nose, sore throat, asthma, nasal congestion, bronchitis and sinusitis. 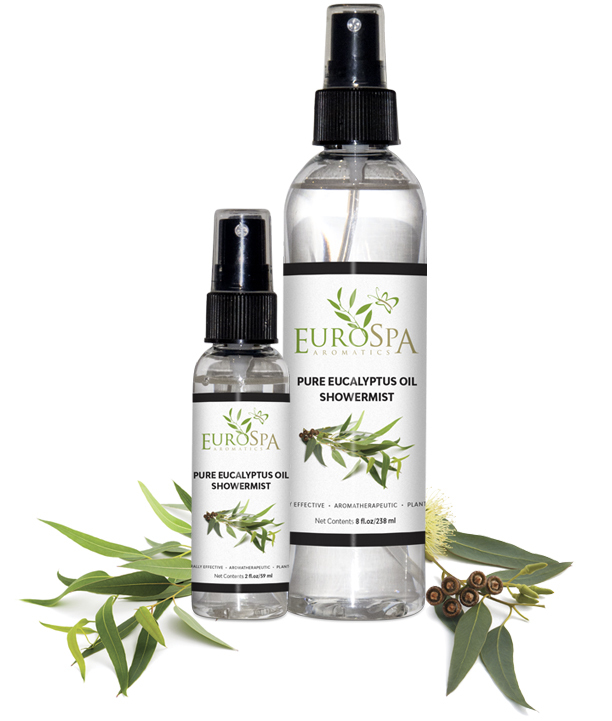 Eucalyptus oil is antibacterial, anti-fungal, antimicrobial, antiviral, anti-inflammatory and decongestant in nature. EuroSpa Aromatics may collect domain information and “cookies” to analyze website and advertisement performance, track user patterns, help remember and process the items in the shopping cart, understand and save user’s preferences for future visits, and compile aggregate data about site traffic and site interactions in order to offer better site experiences and tools in the future.